How did Peter get to Neverland? And how did the conflict between Peter and Captain Hook begin? The implications of a prequel promise to answer these questions. However, fans of the original story might be disappointed with the overall vibe and cliched direction of the film. For a fan of Peter Pan, there are really only two questions that need to be answered by a prequel: How did Peter get to Neverland? And how did the conflict between Peter and Captain Hook begin? “Pan” promised to be just that — an explanation of Peter’s start in Neverland and a backstory for his relationship with Captain Hook. I, a devotee to Peter Pan, entered the theater with high hopes. Let’s begin with the explanation of Peter Pan’s background. 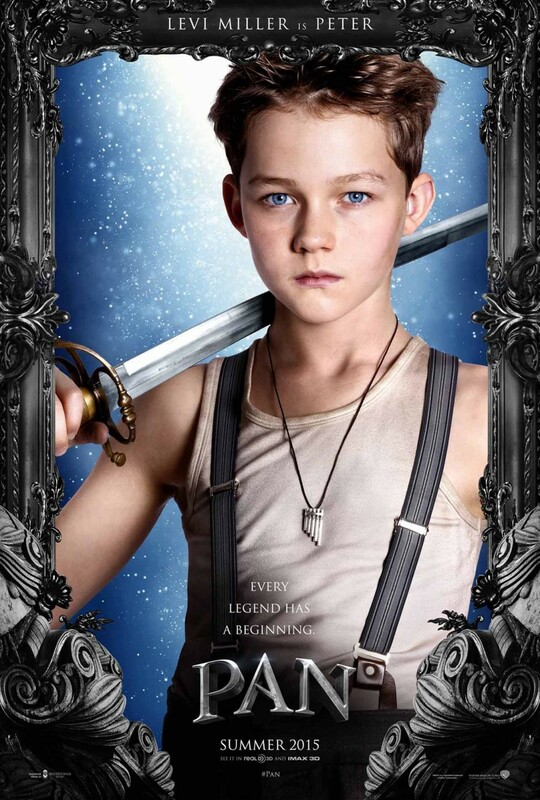 In this respect “Pan” definitely delivered. Levi Miller, who plays Peter, does an excellent job portraying him as an adventurous youngster in a London orphanage during WWII. He gets into all sorts of trouble with the ration hoarding, evil Mother Barnabas (Kathy Burke) — a classic orphan against the institution beginning. As the plot progresses, Peter and some other boys from the home are whisked away (through unforeseen circumstances) to Neverland. Once there, Peter finds that he is now under the reign of Blackbeard (Hugh Jackman), a fearsome pirate using the boys to further his own selfish schemes. For a few moments, it becomes unclear whether the movie is a musical or not as the pirates and boys sing Nirvana’s “Smells Like Teen Spirit” and The Ramone’s “Blitzkrieg Bop.” Following that short (and extremely odd) interlude, Peter is left to face his destiny and lead the audience through the story of how he “becomes.” Miller stays true to the beloved character of Peter Pan throughout, delivering snarky lines and standing against those who defy the magic of Neverland. As for the second question, much was left to the imagination. In the opening of the movie, the narrator explains that friends sometimes begin as enemies and enemies as friends. This clearly applies to Peter and Captain Hook, leading the audience to believe they might glimpse into their rivalry origins. Disjointed casting, recycled characterization and an extreme overuse of CGI ran rampant in this film as well. Many of the actors did not fit the characters they played — especially Hedlund as Hook and Rooney Mara as Tiger Lily. They were simply not believable in the story. The characterization of Blackbeard, even down to some of his words, was just the classic Captain Hook by a different name. And, while beautiful, the CGI made everything seem not magical, but overdone. I left the theater realizing that perhaps, unlike Peter Pan, I have grown up. As a kid, I may have loved this movie, plot holes and all, but now I would tell potential “Pan” viewers to stick to the classics and watch Peter Pan as J.M. Barrie intended — left to wonder about the backstory and dream about the ending. After all, the magic of Peter Pan is in the unknown. Clarissa Hunter is a senior communication studies major. This review reflects the views of the writer only.